Last week’s meeting with Theresa May saw President Macron repeat his insistence that all Brexit negotiations must take place under the auspices of the EU Commission. Rhetoric aside, cracks in the EU’s ‘united front’ grow ever more visible. Speculation that EU27 national leaders will offer May a new compromise in Salzburg abounds, though the desirability of any such offer remains to be seen. 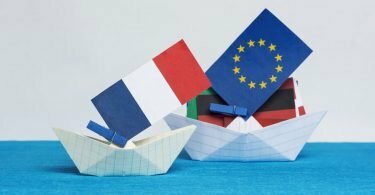 The President of Calais this week described EU plans to exclude French ports from post-Brexit shipping routes linking Ireland to mainland Europe as ‘scandalous and unacceptable’. The voices of regional interests, hitherto suppressed with relative success by the EU Commission, will only grow louder as Brexit day approaches. British politicians should pay close attention to these fault-lines and be ready to exploit them. The past seven days have also have seen continuing media references to the UK having the slowest growing economy in Europe. Strangely, less publicity has been given to this week’s figures for GDP growth in the UK and France in the second quarter of 2018. These show the UK growing twice as rapidly as France. This week The Times printed an article promoting the proposal for unilateral free-trade post-Brexit outlined in our ‘Modest Proposal’ last week. The article, entitled ‘Theresa May is backing herself into a disastrous blind alley’, was written by Stewart Jackson, former MP for Peterborough from 2005–2017 and Chief of Staff to David Davis MP as Secretary of State for Exiting the European Union 2017–18. Unfortunately The Times was also responsible for our least favourite article of the week. We at BfB do not usually have time to respond to the blizzard of pro-Remain press articles of indifferent quality, but this column by Clare Foges caused more than normal irritation. Thus, in (desperate) hope of preventing Brexit debate resembling a case of ships passing in the night, we have printed a direct response to Foges’s emotive and misleading article. Foges argues that, as the EU is an emotional project for its continental members, and thus Brexiteers have been foolish to expect the EU to behave in an economically rational manner during negotiations. The main point for Brexiteers, however, and one that Clare Foges completely misses, is that the truth that the EU is an emotional project of nation- (or empire-) building makes it ever more important that the UK is shot of it. Professor Richard Tuck, Professor of Government at Harvard University, puts the current ‘shambolic’ state of British politics into context. He argues that we need to recognise that this ‘chaos’ is a natural side-effect of the welcome reawakening of long-dead political struggles. Membership of the EU – an organisation – has long been popular amongst Conservatives who wanted to ‘lock’ Britain into market-driven politics in perpetuity. A hard Brexit presents the Left with its best hope of countering this trend. Brexit is a chance to reinvigorate domestic politics, putting issues back of the table which have been treated as ‘settled’ for 40 years. General elections will once again become meaningful political contests. Readers of BfB may be interested to learn how the British government’s position is presented in a leading French newspaper, Le Monde, in an article entitled ‘The “red lines” originally so vaunted by Theresa May have either become blurred or disappeared’. This summary translation was provided by Sir Richard Aikens, based on the article by Philippe Bernard and Cécile Ducourtieux printed in Le Monde, Thursday 19 July 2018. The article presents a bleak view of Britain’s negotiating hand, and is indicative of how much more attention the British government should be paying to the way in which it presents its case abroad. Much has been written on the uncertain access of UK financial firms to EU markets post-Brexit. Less publicity has been given to the issue of access to UK markets by EU financial firms. A new report by Azad Ali and Chris Hobson of Fieldfisher, a European law firm, shows that access for EU27 firms should be easier than feared by many EU businesses. In particular, most investment banking activity is likely to be covered by special exclusions. 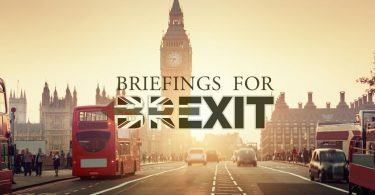 Indeed many firms may find that the scope of UK authorisation they require in a ‘no-deal’ scenario is significantly narrower than the scope of their current passport, or is not required at all. 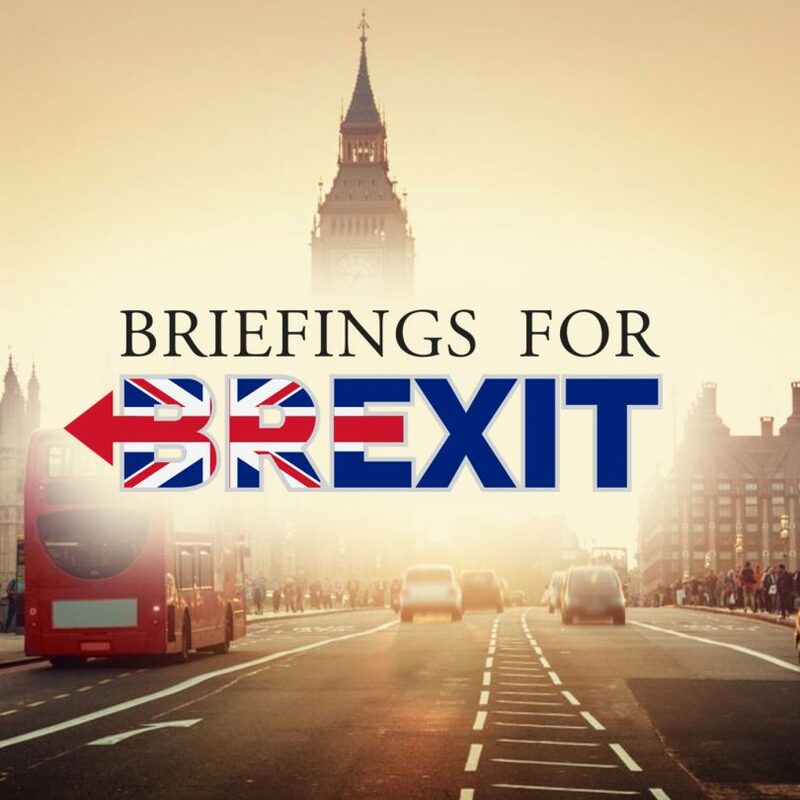 This week features an article from Prof Robin Dunbar, entitled ‘What Price Hard Brexit When It (Inevitably) Comes?’ Dunbar, who is an Emeritus Fellow of Magdalen College, Oxford, argues that big business and politicians alike need to be more imaginative about supply chains. Trade is far too dynamic a process to have the entire future of the country determined by short-term thinking based on what we happen to do today.